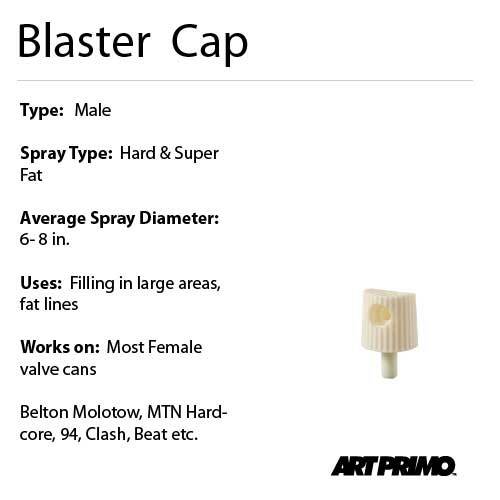 Caps (also know as: nozzles, tips, actuators, etc.) are like a brushes to an artist. 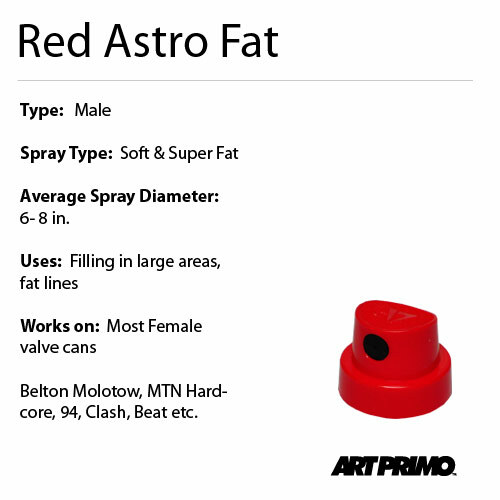 They come in many sizes shapes and colors and can produce a variety of desired line widths, spray effects and overall output volume. 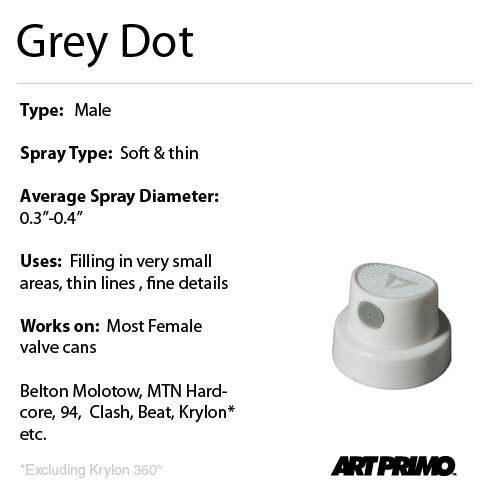 Although most spray paints include a spray nozzle or â€œcapâ€ it is typical for painter to remove the â€œstock capâ€ and replace it with a more task appropriate one. 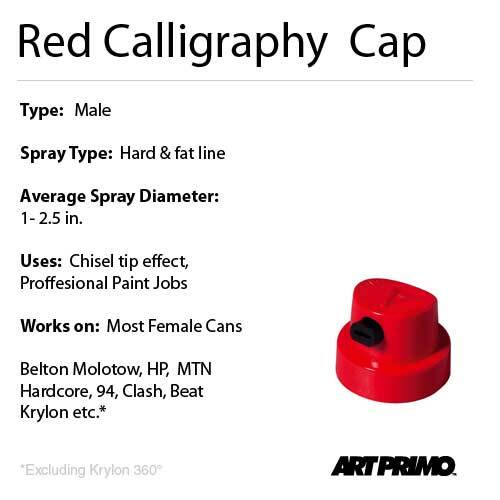 Using the wrong cap can be like writing with a dull pencil, resulting in shaky and undesired strokes. It can also be like trying to paint a house with a q-tip. 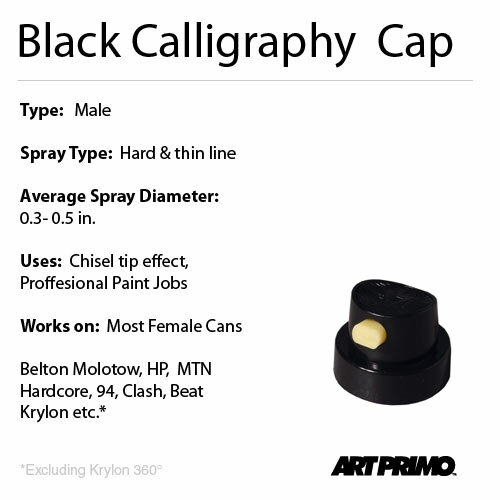 Using the right caps can give you the sharp, crisp and accurate lines you are looking for as well as speed up larger tasks. 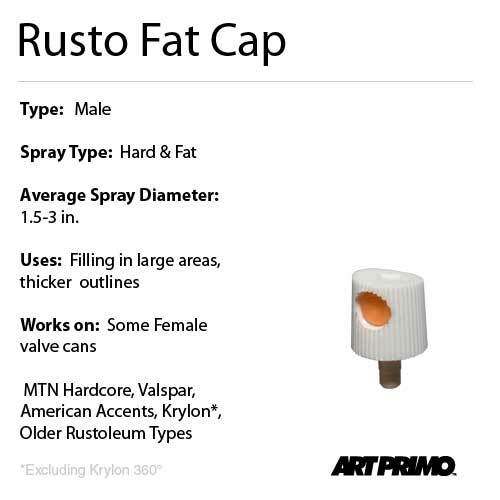 A quick way to determine the general output volume of a cap without doing a spray test is to turn the cap upside down and examine the size of the slit at the end if the stem. Large notches or slits will allow more paint to flow through when pressed and are typically going to be a fat cap. In contrast thinner or no slits will allow less paint to flow through and are usually pegged as thin caps. Another way although less effective is to blow through the stem and determine how much air volume is being projected out of the output hole. 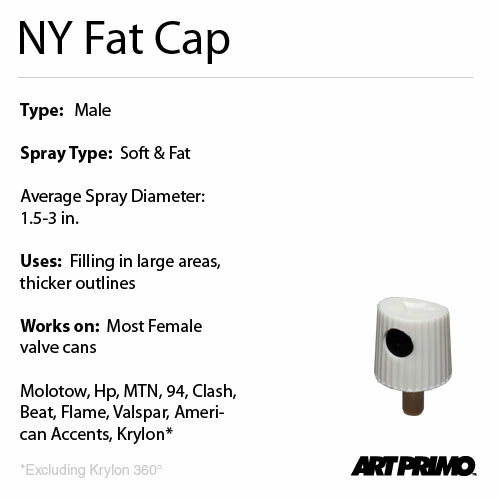 In the case of NY Fats and NY Thins one can simply observe or feel the grooves along the sides of the cap. The fat caps have larger further spaced grooves along the sides while the NY thins or outlines have thinner closely spaced grooves. Work on most U.S. domestic cans. 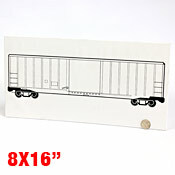 Thins- Thin spray for painting small areas, fine details, thin lines, light shading, highlights etc. Calligraphy- Chisel tip type of squared off line. The caps are great for achieving calligraphy pen or marker type writing. 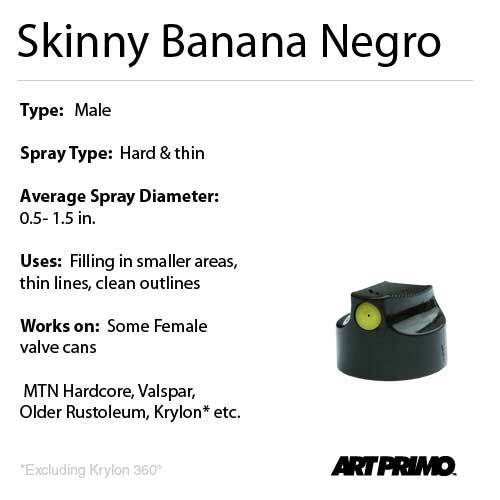 They are also good for painting furniture, bikes etc. 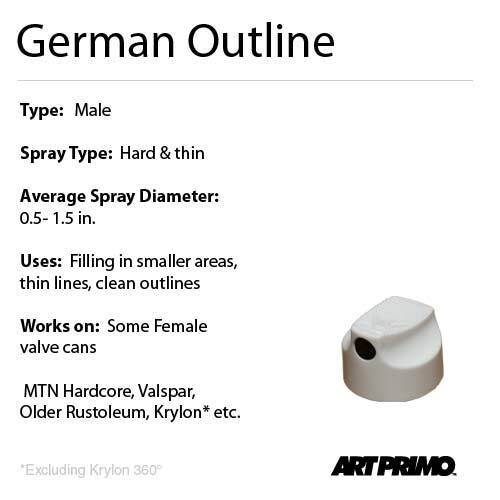 The protruding tranversal tip can be turned to achieve a vertical or horizontal line spray pattern. 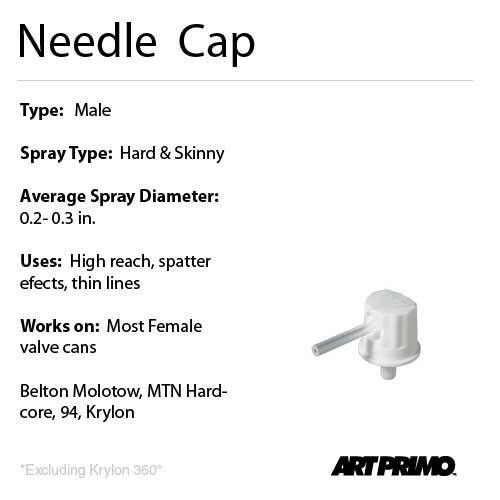 Needle cap- This cap has a short straw projecting out of its discharge area. 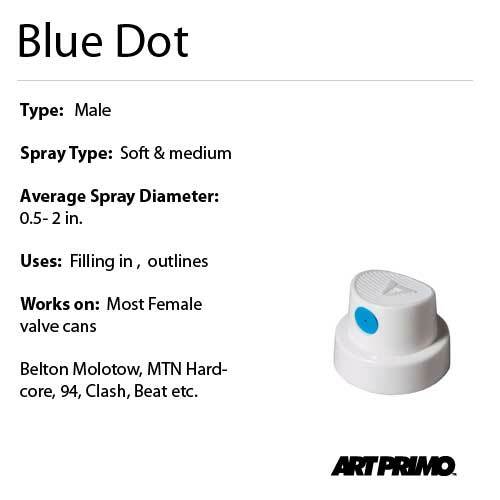 This thin tube allows a very thin stream of paint to shoot a further distance into a spatter pattern. Good for spatter effects and high reach lines. 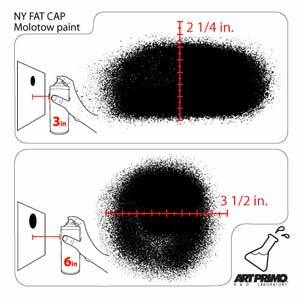 Stencil Cap-Very thin lines. Recommended for detail only (can be very messy). Mixing Caps-Used for mixing 2 cans together. 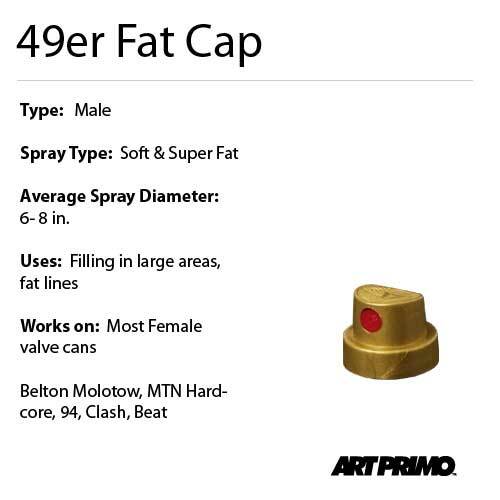 Not typically used for painting. 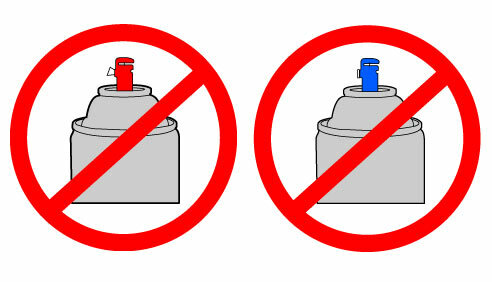 Will your cap work with your can? 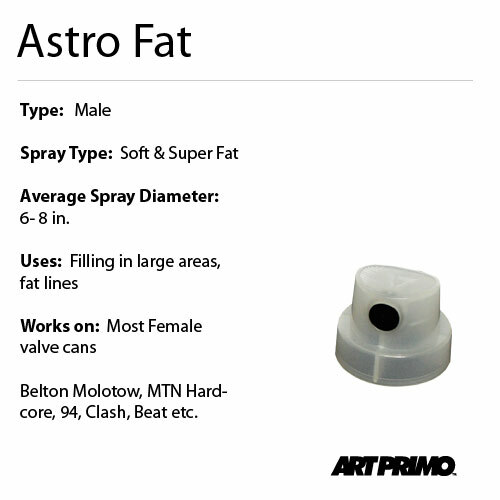 What kind of valve do you have? 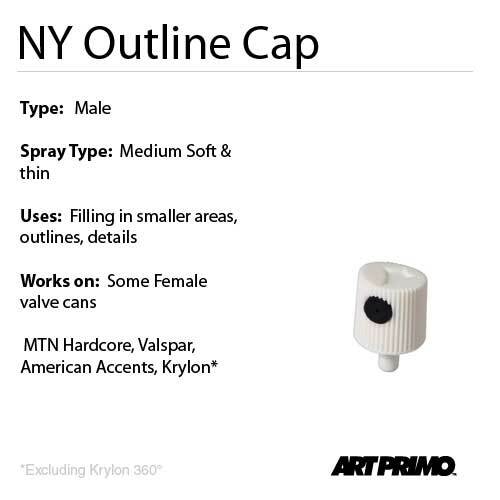 The can's stem inserts into the cap. 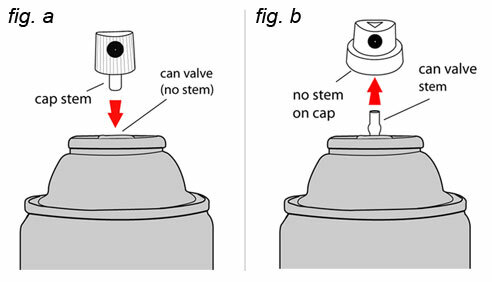 These types of cans have a specific type of male valve system that will not accept new caps. We do not recommend trying to do so. 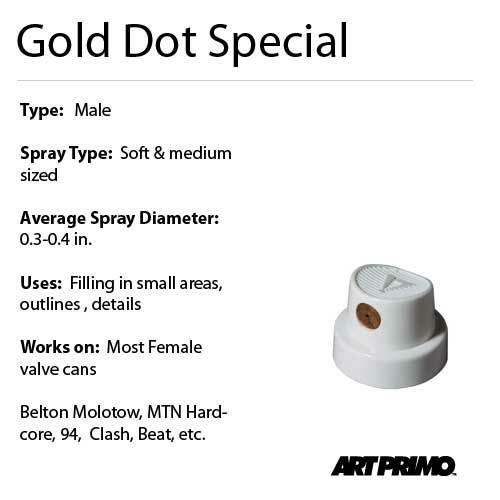 Each cap will have a different colored insert that determines the shape of the spray pattern. This is the the pattern that is produced after one depression onto the cap without the can being moved in any direction. This is the basis how the shape and edge of a line will look. Some spray patterns will be round and solid others may have a soft middle and hard edge. Results will vary by paint type but they are generally similar. Here are some examples of different spray patterns and tests. Pressure and distance from the wall are considered.